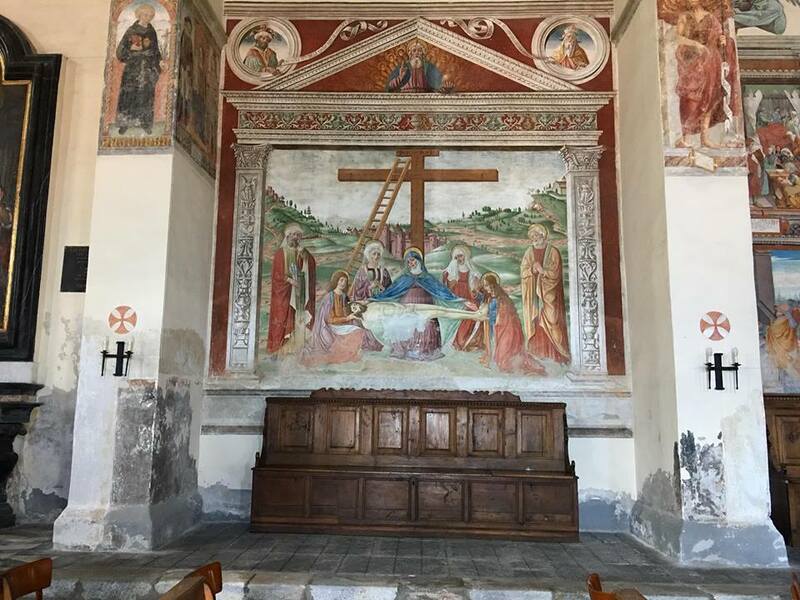 One of the wonderful things about Italy is that even very small towns often have some really marvelous artistic treasures. 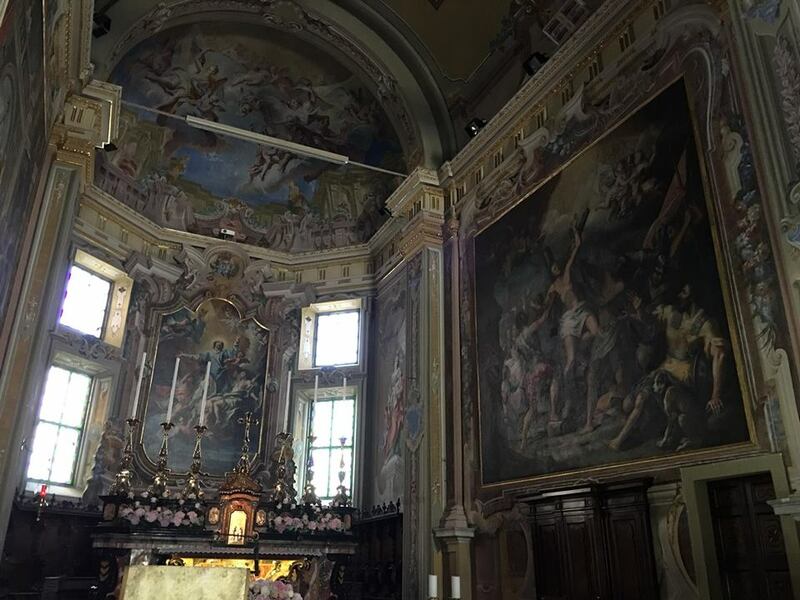 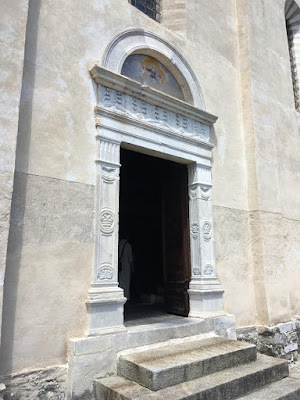 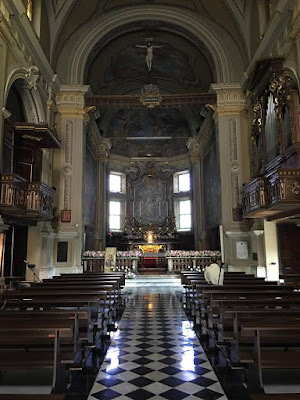 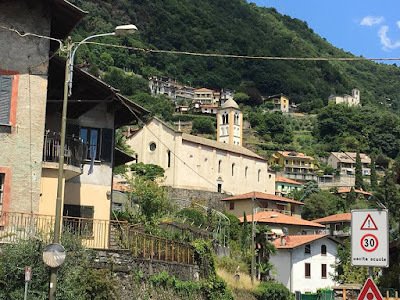 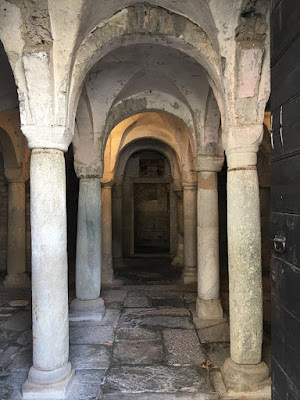 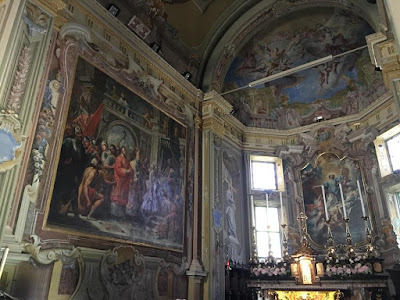 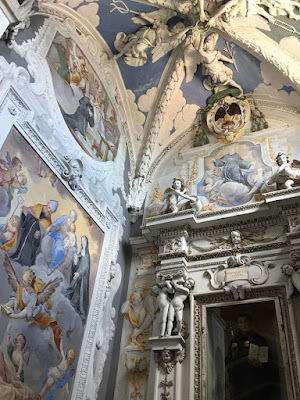 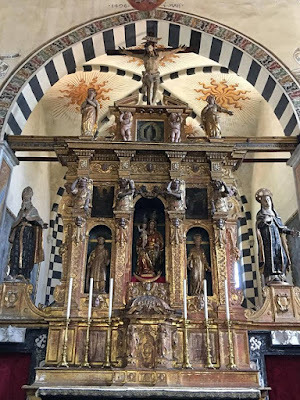 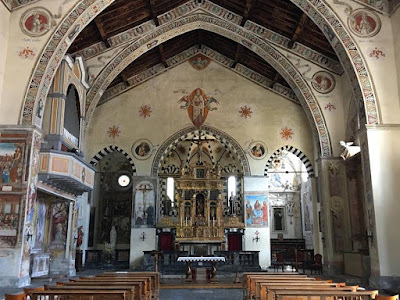 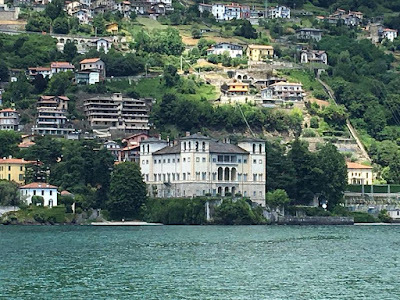 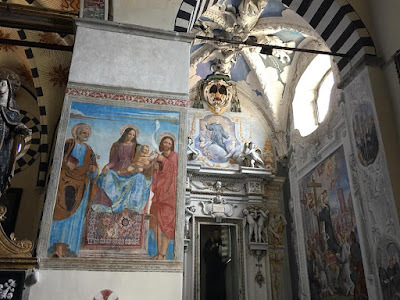 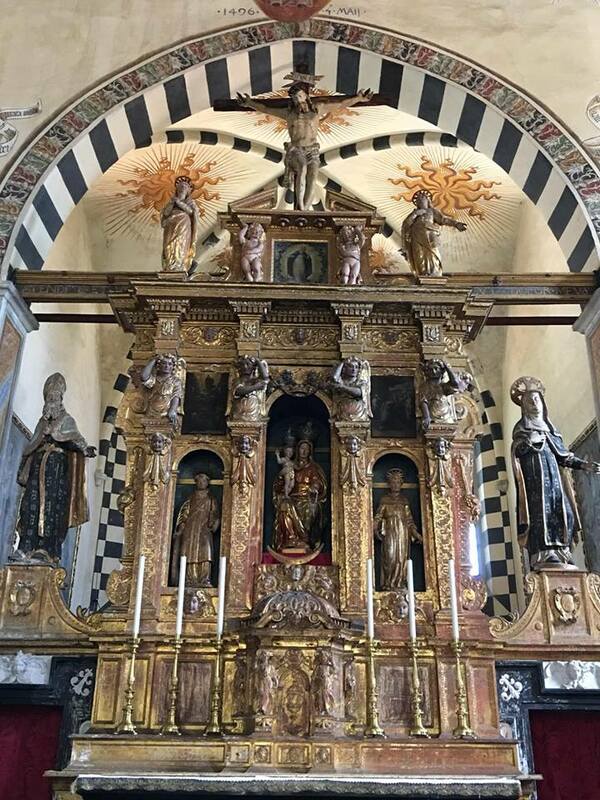 As a follow up to a post on Wednesday, we continue with Nicola’s photos from the little town of Gravedona on the lake of Como, with the churches of Santa Maria delle Grazie and San Vincenzo. The former preserves a good amount of fresco work which can be dated from 1509 to roughly 1520; although the names of the families who commissioned them are included in several of the paintings, the artists are unknown. A painted Crucifix mounted onto a fresco with the rest of the scene (the fainting Madonna, the two thieves etc. 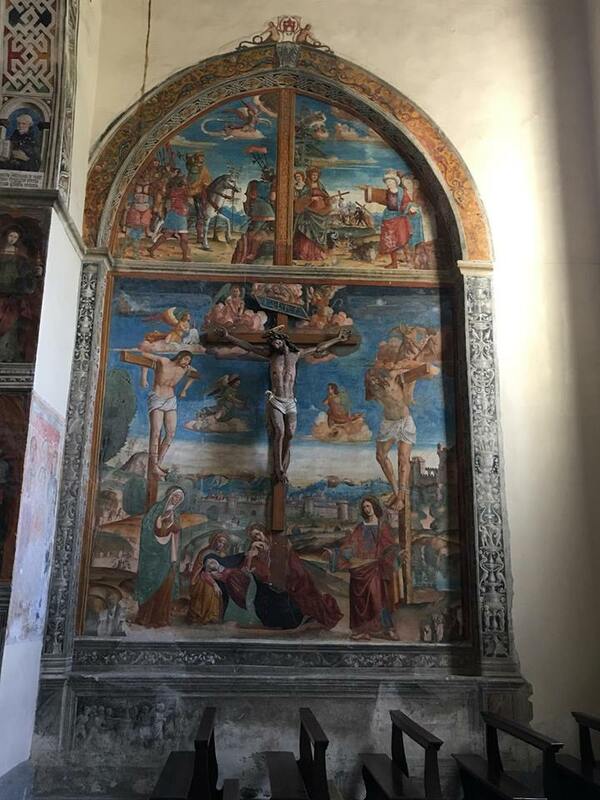 ), and in the compartments of the lunette above, the Vision of Costantine and the Finding of the Cross. 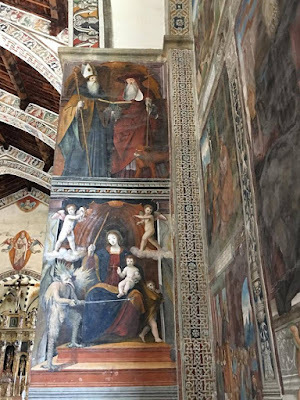 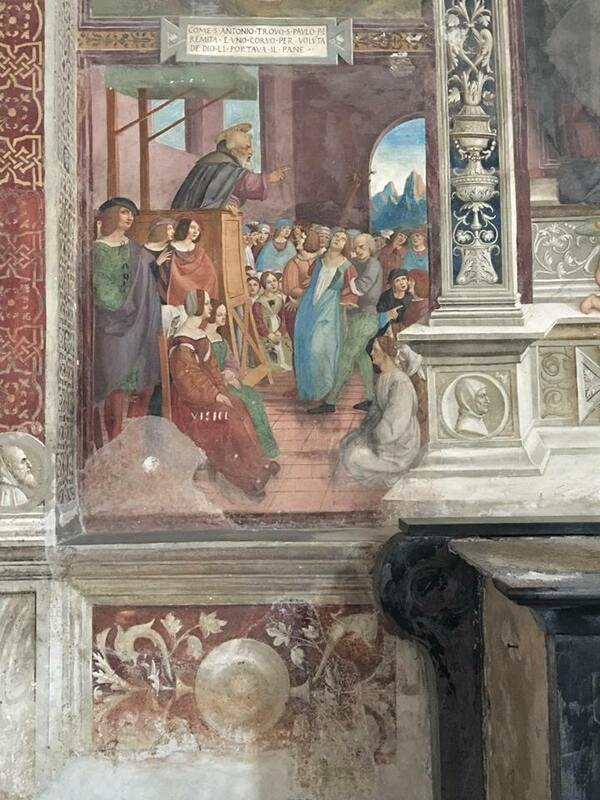 A fresco of Ss Ambrose and Jerome; below, the Madonna smacking the devil with a stick. 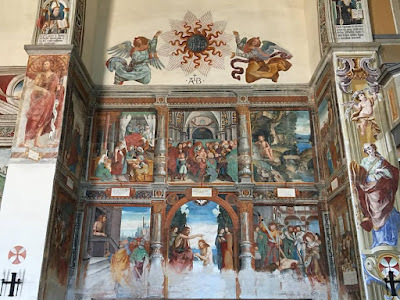 A fresco cycle of the life of St John the Baptist. 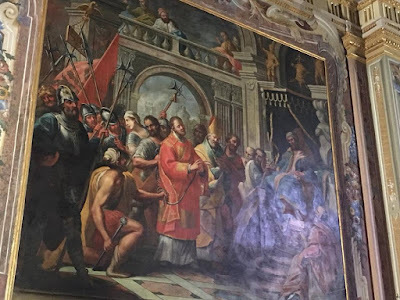 St Nicholas of Tolentino, the first Augustinian friar to be canonized, with the Virgin and Child and St Augustine, and below, the martyrdom of St Agatha. 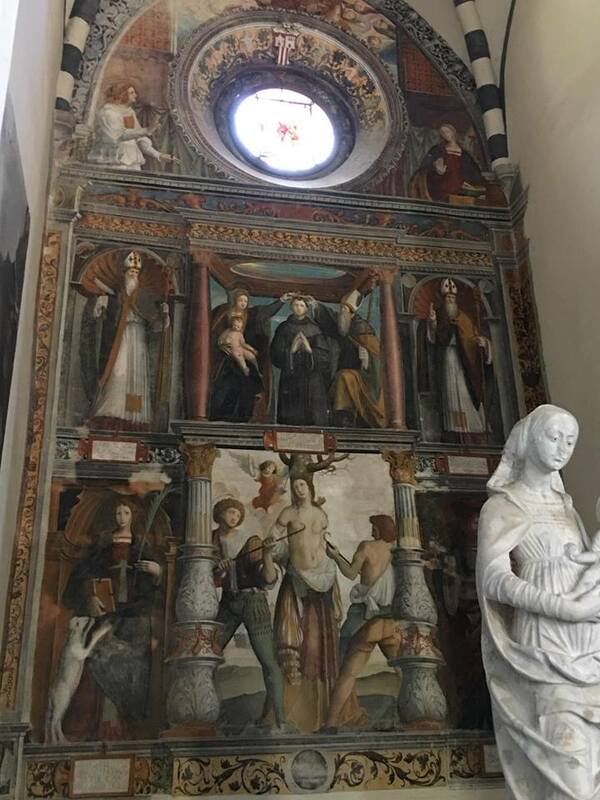 The Madonna and Child with Ss Peter the Apostle and John the Baptist. 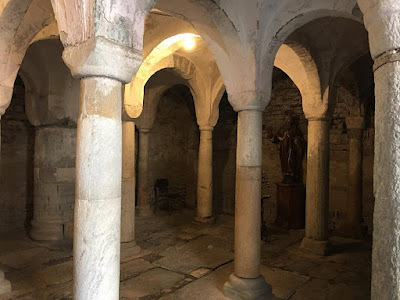 Thre parish church of St Vincent (San Vincenzo) was built in the later 11th century; of the Romanesque church, there remains only the crypt, which is supported by 30 marble columns. 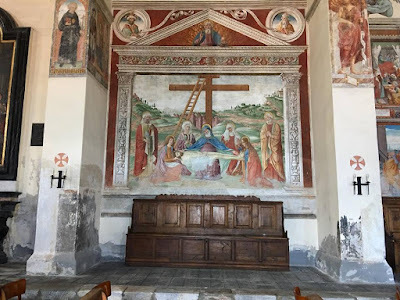 The church’s proximity to the lake has left only a few traces of fresco decorations. The main church was radically reconstructed in the 17th century, and the sanctuary redcorated starting in 1735 with the work of the painter Carlo Carloni, who did the altarpiece of the Glory di St Vincent, and Michelangelo Bellotti, who painted the episodes of his life on the side walls. 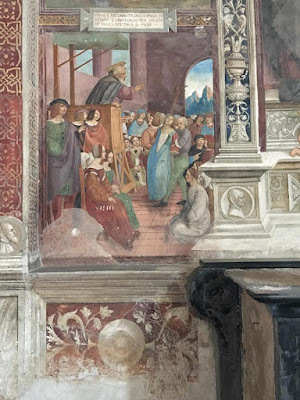 The trial of St Vincent before the prefect Dacian; note that the Saint is dressed as an Ambrosian deacon, with the stole on the outside of the dalmatic, and the cappino over his neck. 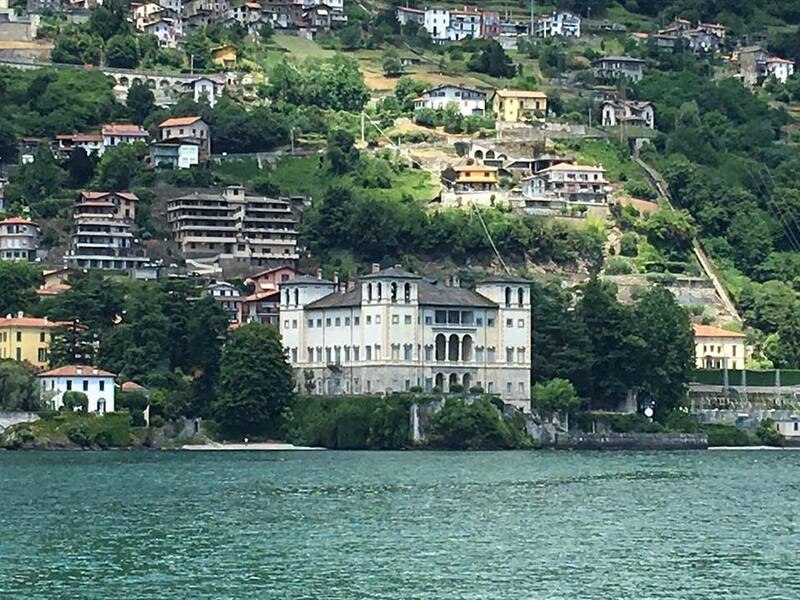 Another landmark in Gravedona is the Palazzo Gallio, built in 1583 by Cardinal Tolomeo Gallio as his family’s residence, after he received from the Spanish Emperor Philip II the title and feudal rights of this area, which remained with the family until the revolutions of the late 18th century.